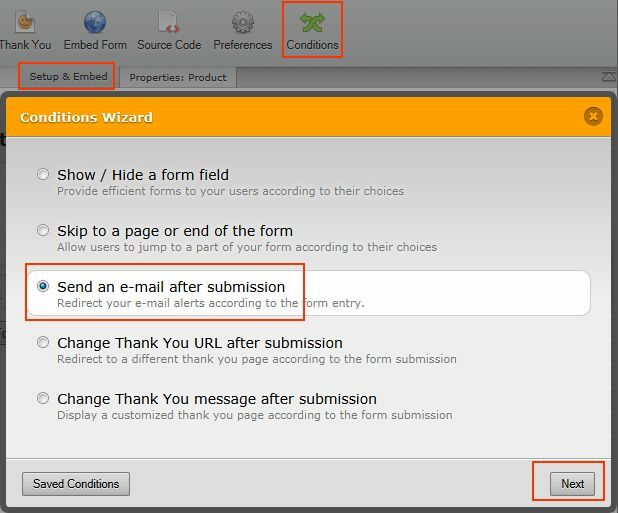 I use the From Collapse function on my form as there are sections on the form which are optional. 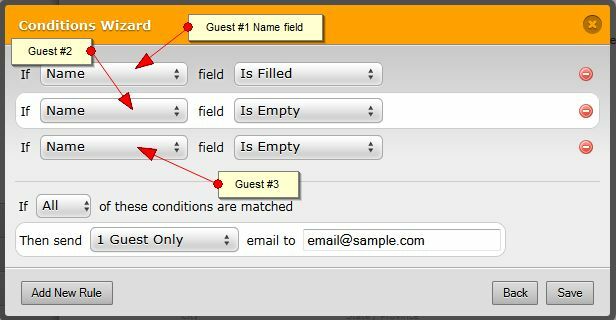 In my case (see submitted URL below) this form allows a guest complete the main form and has the option to click the "2nd Occupant" or "3rd Occupant" form collapse buttons to complete those sections if they wish to. 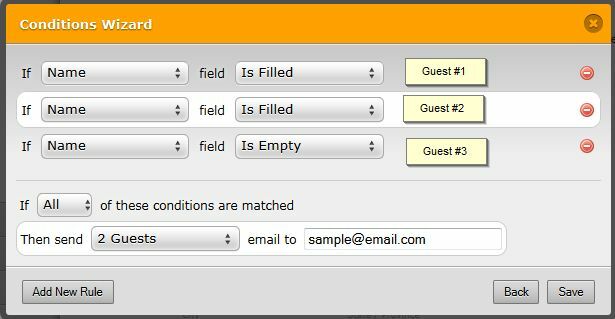 Now, if a guest completes the main form but DOES NOT collapse/complete the 2nd Occupant/3rd Occupant sections and submits this, I recieve a notification email with all the guests details including the blank fields for the 2nd Occupant/3rd Occupant sections. Is there any way I can NOT receive the blank sections on the form collapse sections unless someone completes it? Modify these notifications to show only the sections that matter. 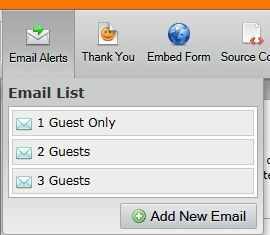 For example, notification for single guest will only display filled out sections for a single occupant. Same goes for 2 guests and 3 guests. 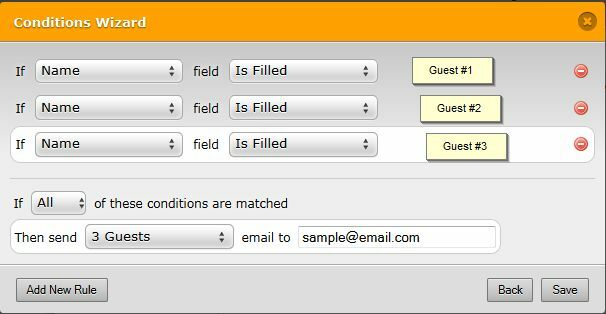 Implement a set of conditions that will choose a notification to send to you depending on the fields filled out by the customer. Let me know if you have questions regarding this workaround. Thanks! You're right about it being no easy task, but you're a genius! Been playing around with the Conditions bit but got no where as I was just being daft! Will give this a go. Please do test this workaround for your form. You may use a clone for testing purposes to prevent complications in your original form. Let us know how it works for you. I'll be looking forward to your updates. Thanks! Had to use this format again for another form recently and you popped into my head! Just want to say thanks again for this! It has been really helpful! You are very much welcome to use this workaround. Should you have other questions or concerns, please do let us know. Thanks!